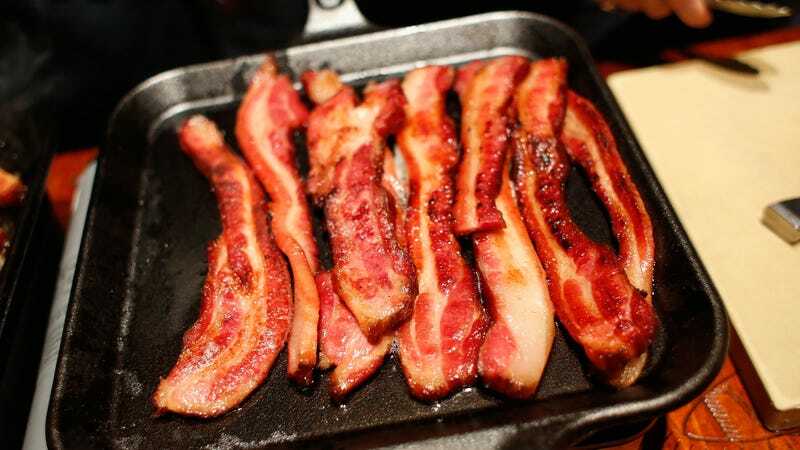 Bacon is often a staple of the keto diet. “Clearly the detrimental effects seen in the early phase are not happening to the same extent in the later phase, otherwise nobody would use such a diet,” Wolfram told Gizmodo via email. Wolfram has a point: People on keto routinely develop fatigue and other symptoms, especially at the start of their diet. This unofficial condition, referred to as the “keto flu,” is thought to be caused by a lack of nutrients and electrolytes. The team next plans to study whether people also develop insulin resistance early on in their keto diet, as the mice did. “Furthermore, we are interested to understand if this [liver] insulin resistance is part of a physiological adaptation process,” Wolfram said.